From novel to potentially life saving applications, the Medical Industry will continue as a strong growth sector for Rapid Prototyping as researchers work to uncover new applications and refine existing technologies. Traditionally a tool of the design verification stage with early material limitations resulting in brittle, photo-sensitive medical devices prototype models. These material limitations meant early prototype models were predominantly used for visual design aids and marketing activities, with limited functionality. As the range of materials available for Additive Manufacturing has increased so too has the range of applications for this technology. If you have earlier taken the service for prototyping, then you might be familiar with the designing prototype units for new products or revisions. If your organization makes medical devices, the medical device prototypes help you to work out critical details from microelectronic functioning to material fabrication. Designers can now choose materials that closely simulate production plastics, allowing for fit, form and functional testing. Medical device designers can find likely production issues before committing to expensive production tooling. While this technology have proven positive, the true potential of Rapid Prototyping lies within the field of bio-printers. Researchers are working on 3D printing machines, capable of printing human skin, blood and organs. If successful to date this research has shown positive results, however it is not likely that we will see 3D printers in local hospitals just yet. For burns victims and transplant patients, bio printers hold the potential for life saving treatments. 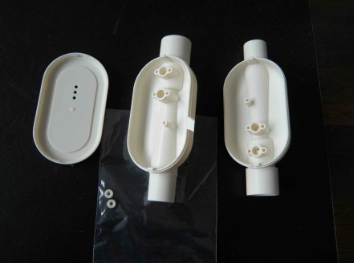 Rapid Prototyping now offers approved materials for medical devices prototype which has further strengthened the role of Rapid Prototyping within the Medical industry. Stereolithography material Watershed is suitable for use in preclinical trials while Electron Beam Melting and Direct Metal Laser Sintering have proven popular as a manufacturing process for customised orthopaedic implants. Next few years are going to see drastic changes in the Medical Industry and all because of Rapid Prototyping technologies.